Tee It Up at One of the Best Golf Outings of the Season! 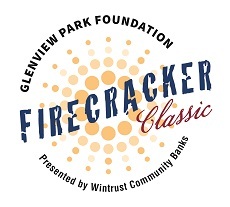 Registration starts in March for the Glenview Park Foundation’s Firecracker Classic Golf Outing. This is your opportunity to enjoy a fun day with your friends at the exclusive Glen Club while supporting the work of the Foundation. Event features include continental breakfast, 18 holes of golf, on-course activities, lunch on the run, player gifts, awards, cocktails, dinner and silent auction. To become a sponsor or donate a Silent Auction Item, contact Laney Haupert at 224-521-2286 or Delaney.Haupert@glenviewparks.org. Double Your Exposure: Ask about sponsoring a Hole at the Firecracker Classic and a Field at the 3v3 Soccerfest for only $400! Glenview Park Foundation is a 501 (c) (3) non-profit entity. Donations to the Foundation are tax-deductible to the extent allowed by law.